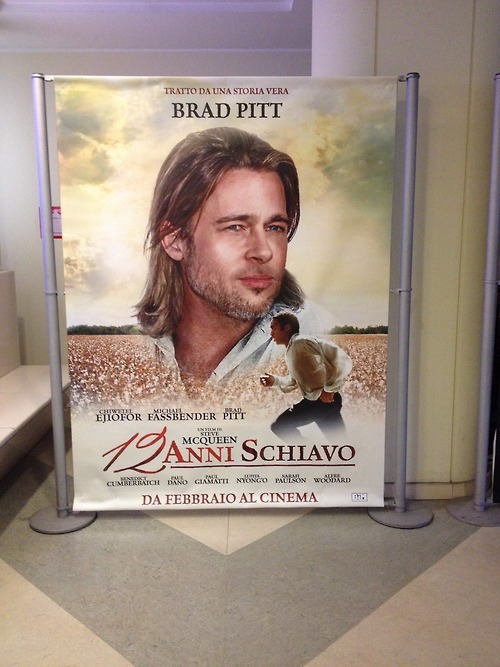 + After a Tumblr user in Italy questioned a 12 Years a Slave poster featuring Brad Pitt (whose role in the film - despite his producing credit - is minimal), Lionsgate released a statement claiming that the advertisements (another similar one featured Michael Fassbender, who is also a supporting actor) were unauthorized and not approved by the filmmakers. + Saving Mr. Banks director John Lee Hancock has been picked to rewrite the Magnificent Seven remake, which Tom Cruise was previously attached to work on. No word yet as to who is set to replace Cruise. + In doing promotional rounds for his latest film 47 Ronin, Keanu Reeves ruled out any participation from him in the upcoming Point Break remake. + Fortunately for Bill & Ted's Excellent Adventure fans, Reeves did state that he's open to doing a third film, which would follow Bill & Ted's Bogus Journey. Tom Cruise has promised to help David Beckham become a movie star, according to reports. The soccer player is looking for a fresh challenge now he has decided to retire from the sport and thinks he has what it takes to be a star in Hollywood and wants the Oblivion actor to help him establish himself on the screen. “David has always wanted to be an action film star, and Tom promised him a long time ago he can make those dreams come true. David still loved soccer but feels that now is a great time to transition into film while he's still young enough to land top-notch roles,” a source told The National Enquirer. David and his spouse Victoria became good friends with Tom and his now ex-wife Katie Holmes several years ago and their bond was strengthened when they were living in America when David was playing for Los Angeles Galaxy. The sportsman is said to have his eye on a role in Tom's planned action sequel Mission: Impossible 5. “Who knows? We could see David in Mission: Impossible 5,” the source added. Tom Cruise isn't afraid to get injured on set. The 50-year-old actor is famous for doing his own stunts and despite being a huge Hollywood star, he throws himself into every action sequence without complaint. Malin Akerman was star-struck when she met Tom Cruise. The 34-year-old actress couldn't believe it when she was cast alongside the Hollywood legend for Rock of Ages and was nervous about meeting him for the first time but she quickly struck up a bond with Tom. “I still get excited by working with big names. You have that initial moment of, 'Oh my goodness, I'm going to work with Tom Cruise!' And then you meet him and in 10 minutes you realize you're both just in this together, two actors who are equally as nervous and excited to be on a new journey. And star-struck feelings go away and you become partners in crime. My dream now is to work on a big film with Tilda Swinton and Cate Blanchett,” said Malin, who had to stick her tongue in the actor's ear during one memorable scene. + Photos of Nicole Kidman getting into character as Grace Kelly have been released. Kidman will portray the Hollywood starlet-turned-royalty in the biopic Grace of Monaco, set in 1962. Not surprisingly, she looks as effortlessly chic and classy as the late Oscar winner. 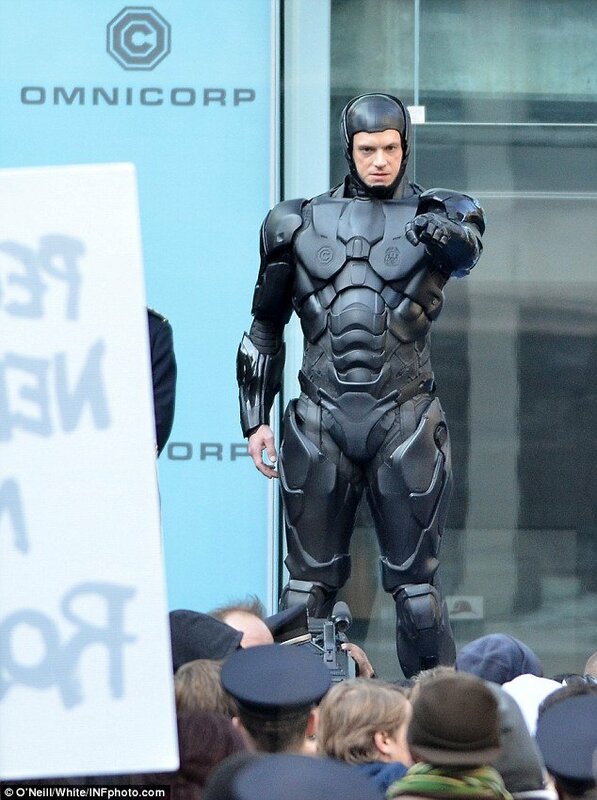 + The Killing star Joel Kinnaman was snapped up in Toronto while filming scenes for the upcoming remake of RoboCop, which sees him starring as the eponymous character. + The intriguing dynamic between Alfred Hitchcock and his wife Alma is on display in the new trailer for Sacha Gervasi's Hitchcock. One can easily see from the clips that both Anthony Hopkins and Helen Mirren are clear Oscar contenders with their potrayals of the married couple. + Uma Thurman is the latest actress cast in Lars von Trier's controversial Nymphomaniac. There is no word yet as to who she will play in the film, which marks her first collaboration with the Danish auteur. - Director Paul Thomas Anderson comments on his showing the A-list star his latest film, The Master, which was inspired by The Church of Scientology—a religion in which Cruise is highly involved. 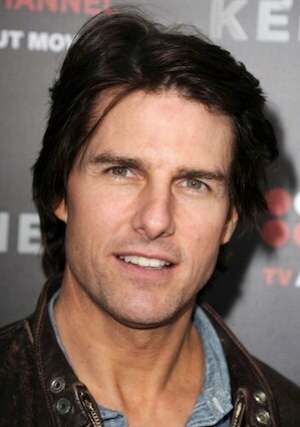 Tom Cruise offered a private jet to a worker who was injured on the set of his latest film. The actor was shooting new movie Oblivion last month when British crew worker, known only as David, was crushed by a 700-pound weight. David was left unconscious and initially believed to be paralyzed, so caring Tom alerted his private pilot who primed the star's jet to transport David to a specialist spinal injury clinic. “Tom stayed cool and swept straight into action. He didn't take a back seat at all and made sure his Gulfstream V jet was ready to go in case it was needed. It was quick thinking. David could have suffered permanent spinal injury, so it might have been vital he was flown to hospital,” a source said. 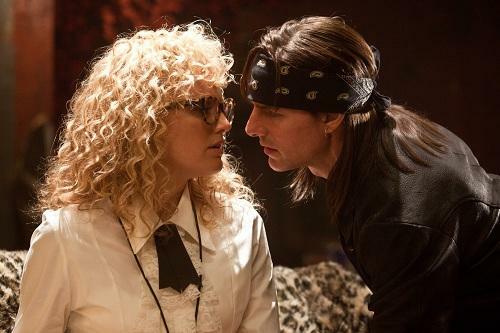 Tom Cruise wanted to film Rock Of Ages because his family loves musicals. The Mission Impossible actor - who plays an egotistical 80s rock legend called Stacee Jaxx in his latest film - has revealed he was pushed into the role by wife Katie Holmes and six-year-old daughter Suri because they are huge fans of musicals. “Kate sings and dances and we kind of went through the history of musicals together. And Suri loves Hairspray. I have watched it 15 times with her,” he said. 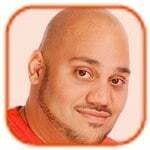 Tom, 49, had five hours of vocal coaching and three hours of dance lessons per day, as well as having to learn the guitar in order to prepare for the demanding role. “I needed to find out if I could really sing. Then I had to learn how to play guitar. I'm very good at air guitar and air drums, but I had never played an actual guitar. I needed to find my own Stacee Jaxx. It was like learning a new sport,” he explained. Tom Cruise has confirmed he “hopes” to make Top Gun 2. The Rock of Ages actor admits he is keen to reprise his role as United States Naval Aviator Lieutenant Pete 'Maverick' Mitchell in a follow-up to the classic 1986 movie but will only sign on if the script is right. “You know what, if we can get the script right, then we'll do it. And that's what we hope to do,” he said. Russell Brand's onscreen smooch with Alec Baldwin was “one of the greatest kisses” he's ever had.